Nearly Stumbled Upon Old Smiley here… Fast Asleep or Not? In need of a silent camera! 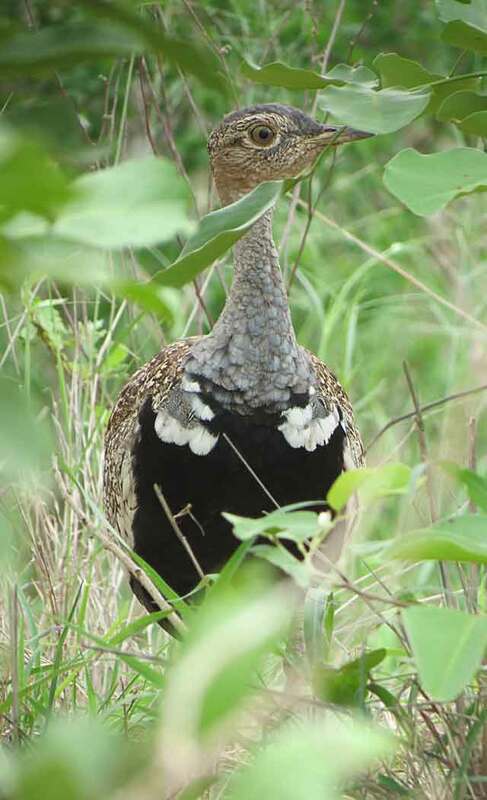 Just up the track was a Red-Crested Korhaan. Like a lot of everyday wildlife, he thinks he’s hidden by those few blades of grass. 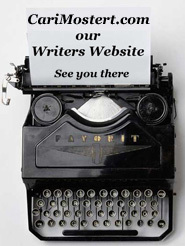 And the red crest? Well, that only comes out when he’s trying to impress the ladies. 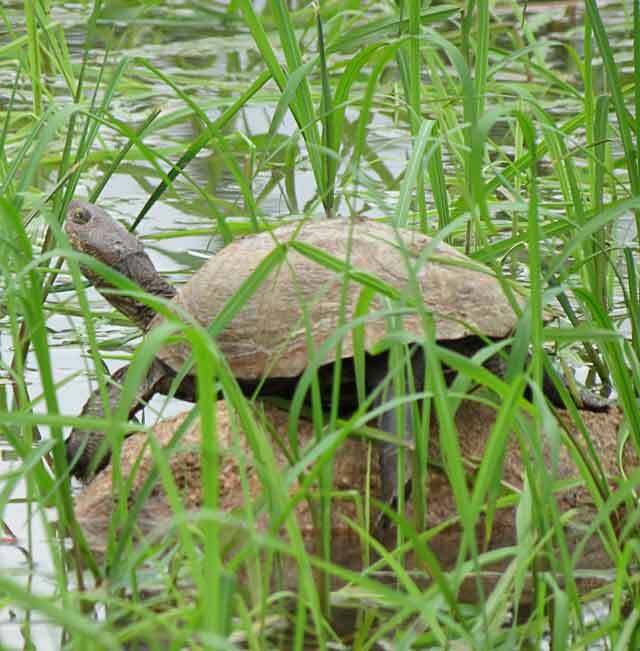 We couldn’t get too close to these guys – they were on the other bank of the river. But this is what a pool party looks like when you’re a buffalo… Well maybe a day at the beach? The bushveld beach that is. 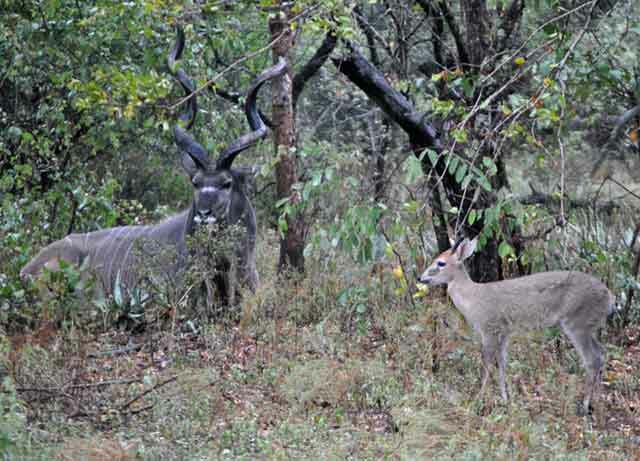 Kudus are known as the grey ghosts of the bush. They are an important species of everyday wildlife, living all around us. 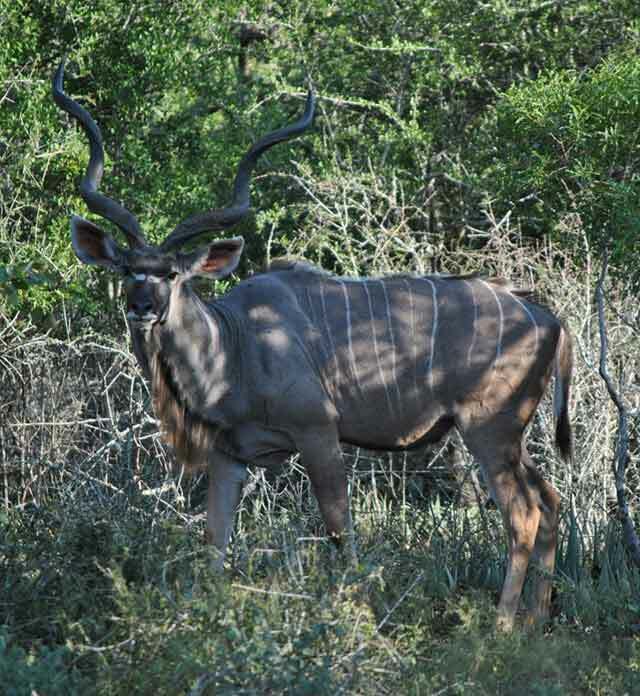 The nickname comes from the kudu’s ability to move through the bush without a sound, gracefully tipping their horns right back and ducking under branches. When standing perfectly still, in dappled light, they melt into their surroundings and you won’t know they’re there. The Jews have used a kudu horn as a musical instrument for as long as they can remember. The Yemenite Jews use a Kudu horn in their Rosh Hashanah ceremonies. 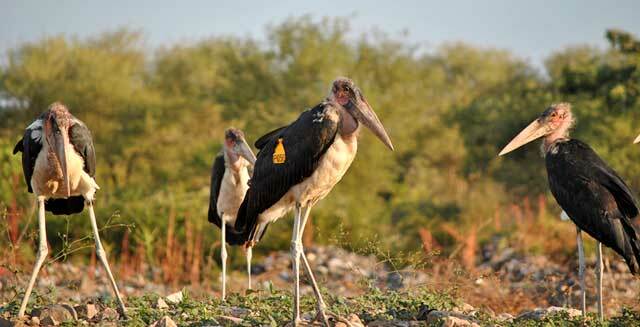 These massive birds standing five feet tall (152 cms) and weigh around 2o lbs (9 kgs) have a wingspan of twelve feet (3,7 m) and females and males are alike. The biting bits are one foot (30 cm) long! As you can see, the dapper fellow in the front is someone else’s everyday wildlife – he has been tagged for observation. Later that afternoon, we saw a duiker down the road and on closer inspection saw there was a kudu with him – quietly resting unseen while he chewed the cud. There are a lot of beautiful birds we get to see. 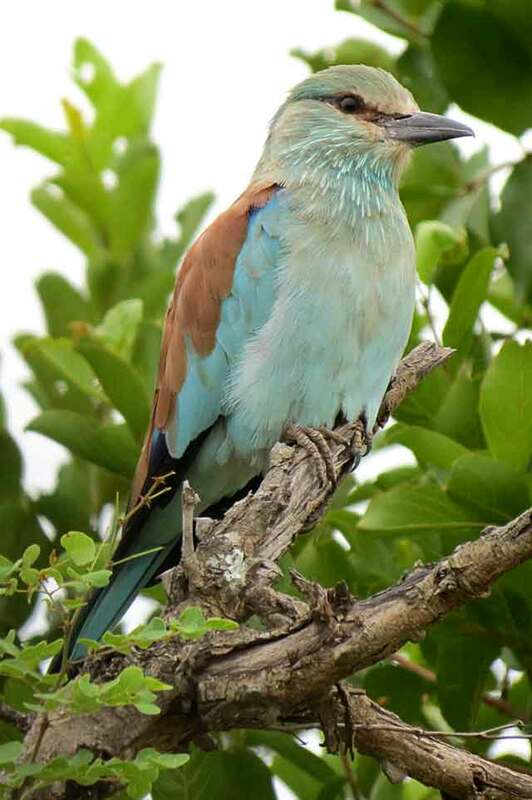 One of the prettier ones is the European roller. They are long distance migrants in the bush in summer but breed all the way from Morocco, through Europe to Kazakstan and northwards to China. The Marsh Terrapin isn’t always around to star in our everyday wildlife series but it had just rained when this photo was taken and he’d taken up residence in a temporary perennial pond. 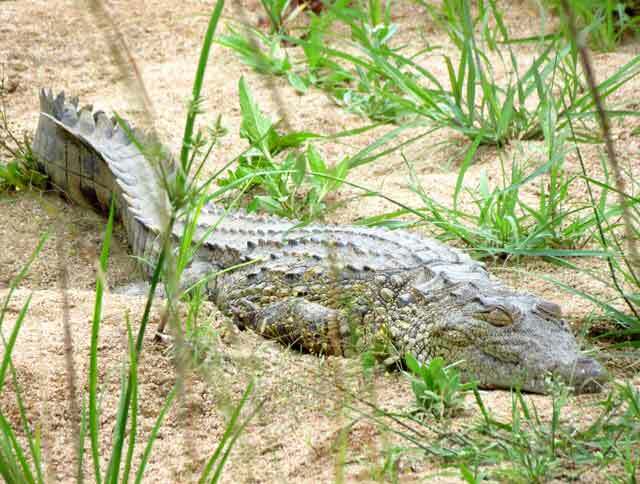 With no crocs to worry about, he was sunning himself and pretending he couldn’t be seen through the grass. 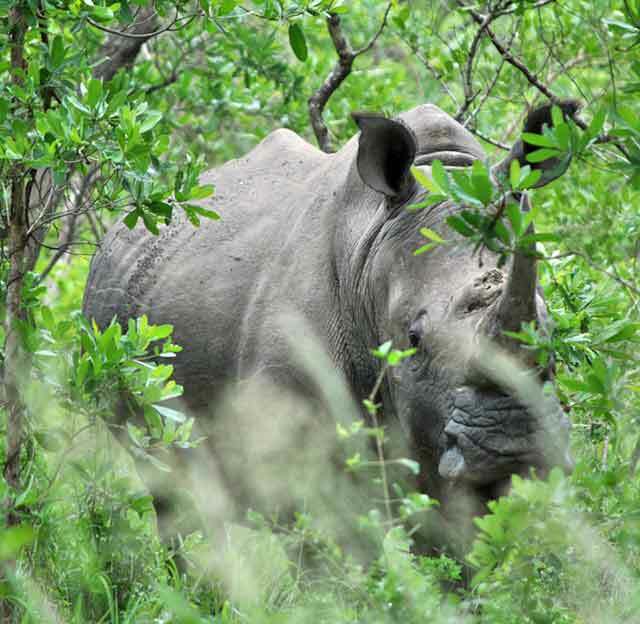 Rhino cover themselves by bathing in mud – this gets rid of parasites and helps heal wounds. Mud is a great sunscreen and is totally organic and good for the skin. Oops! 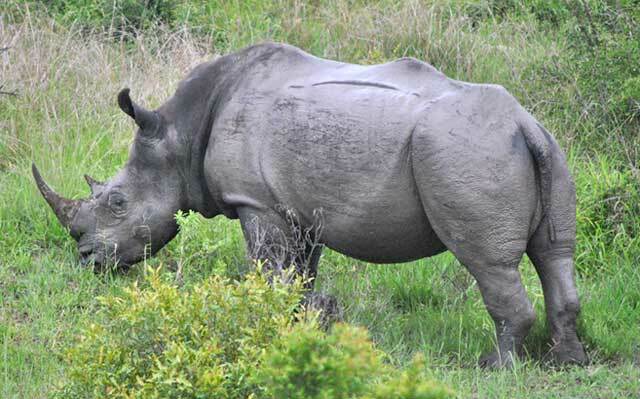 Another White Rhino to the Left. Nearby! Whoops! Never even saw this one, till it snorted. We’re just leaving … backwards… slowly … showing no fear.